The Toronto Raptors have signed Jodie Meeks for the rest of the season, the team announced on Tuesday. News of Meeks' signing was first reported by Shams Charania of The Athletic on Monday. 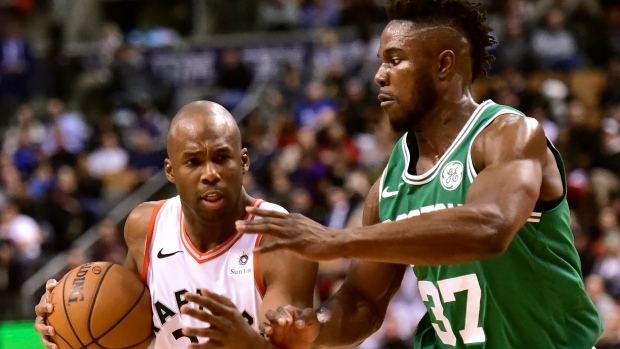 The Raptors are bringing back Jodie Meeks, this time for the remainder of the season, per @ShamsCharania. He impressed during his 10-day trial last month, shooting 3-8 from 3-point range in 2 games. Gives them another shooter at the end of the bench. He is playoff eligible. TSN's Josh Lewenberg notes that he was impressive during his 10-day contract, shooting 3-for-8 from beyond the arc in two games. He scored 15 total points over those two appearances and averages 9.3 for his career. He will also be eligible for the playoffs. Meeks has spent time with the Milwaukee Bucks, Philadelphia 76ers, Los Angeles Lakers, Detroit Pistons, Orlando Magic and Washington Wizards during his career that began in 2009. Following their heartbreaking loss at the hands of the Charlotte Hornets Sunday evening, the Raptors will be back in action Tuesday night as they host the Chicago Bulls.